I heart your blog! so awesome! Your works are absolutely great... thanks!!! i love your blog! is there an rss feed?? i dig your blog. this is pretty rad. i'll be back. Right! this is just great, will you be offended if a french girl made an article about your work on her blog? 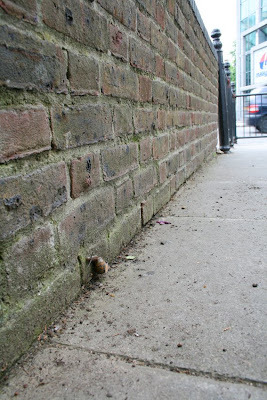 Very nice photo and funny thinking when snail was crossing the street. I must say that your work is quite diferent but a delite to see. I absolutely love this! Have to say it made me smile. Thank you! Austin Hip-Hop Scene... Hip Hop in the Live Music Capital of the World! poor snail. how was it to know that this was a no parking zone? Hey this is really cute! I'm also working on an art project, maybe I could put a link up on my site and you can put a link up on your site. Tell me if you like the project! Fantastic Blog!!! Want to colaberate and do a escargot blog?!! Wonderful, insightful, intelligent pages. A great blog! you've done some really good stuff in here! really good man,.. keep it up!! Almost as I love me. AmandaPromotional supplies a complete selection of cheap and discount promotional giveaways, advertising specialties, and tradeshow giveaways. business gifts, Personalize your items by getting your corporate logo imprinted on such items as the following: fridge magnet, clocks, watches, Custom imprinted promotional bags, flashlights, executive gifts, playing cards, badge & pin mouse pads, stress balls wholesale, and and so on. Here at AmandaPromotional.com, we strive to make purchasing our products an efficient and effective process for everyone involved. We provide access to our products online as well as by speaking with a sales associate over the phone. AmandaPromotional.com offers quick ship promotional items and continually new custom imprinted promotional products are arriving. Buy Cheap wholesale general merchandise at discount wholesale price from leading Chinese wholesaler, enjoy online wholesale and become a wholesaler now! this one is so cute I love it! is there another way of contacting you besides your blog? i was curious if you would do an online interview. These are great pictures! Keep up the work. 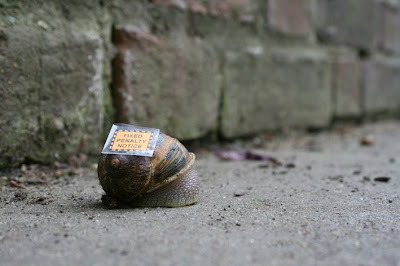 I love the name of your blog, it contrast the fast inner city life with a slow snail. It's a fantastic work. Thanks for sharing and keep posting the good work. It's an absolutely great work. Thanks for sharing. It's great, nice to know this..
OMG, so cool, f*kn awesome ! Its really funny.For the first time I came to know about this kind of news. do you sell those tiny figures? I really love your work and am interested, did the snails foam up at all when you started painting them? were they ok?